First of all, isn’t that a great name?!? ignite! bistro and wine spot. Spot! I love it! Tonight, some wonderful coworkers took me and my boss out to dinner at this great (no so) little spot. 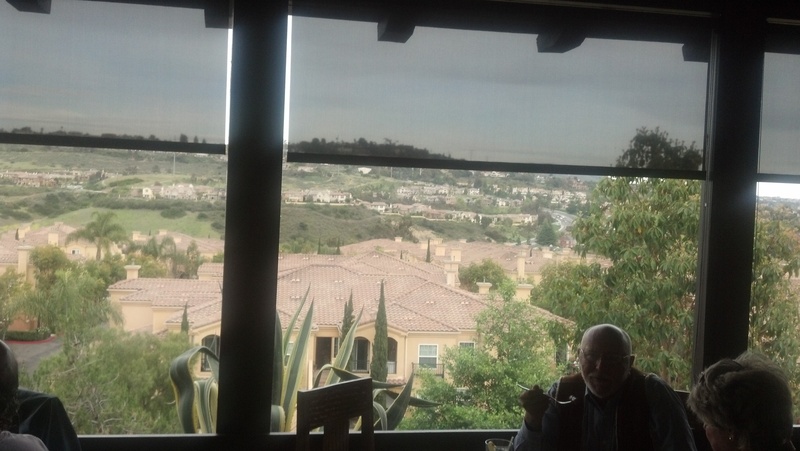 It located on El Camino Real in Carlsbad, CA, near San Diego, and has a lovely view. I wish I would have captured it better! A non-traditional, but beautiful view - from ignite! 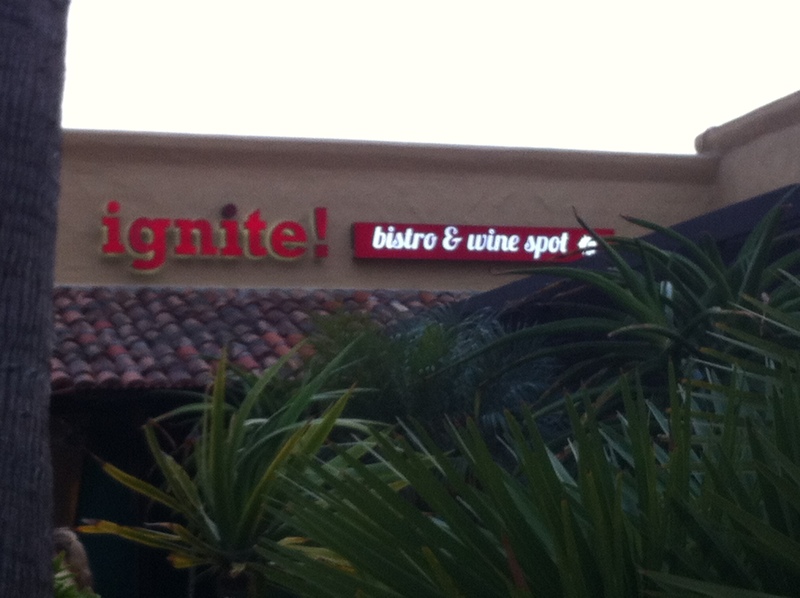 bistro and wine spot. One of my coworkers had been made aware of this blog after our trip to Austin, but the rest of my coworkers were in the dark – until we sat down at the table. I have to appreciate their open-mindedness, and willingness to watch me ask our server, Kyra, to choose on my behalf, and to take picture after picture throughout the meal. (actually, I don’t think I was THAT bad tonight). Kyra was totally game. 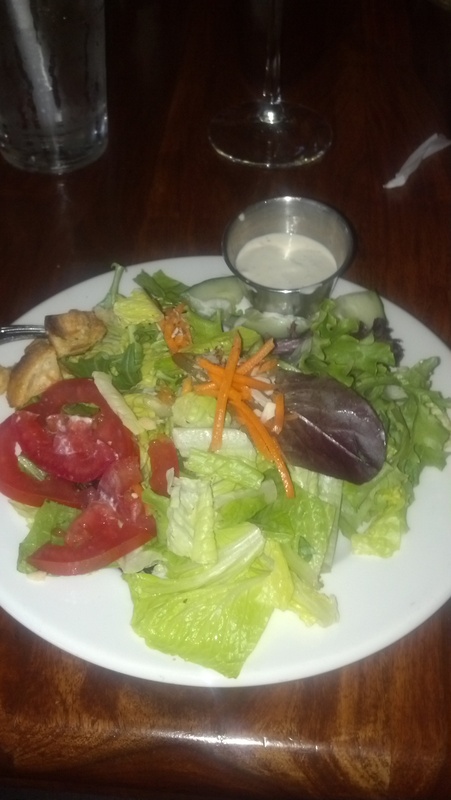 First, I received a small house salad – it wasn’t so small, but it was delicious! Then, I was served a slab of prime rib (10 oz!!) that even Fred Flintstone would probably have trouble finishing! 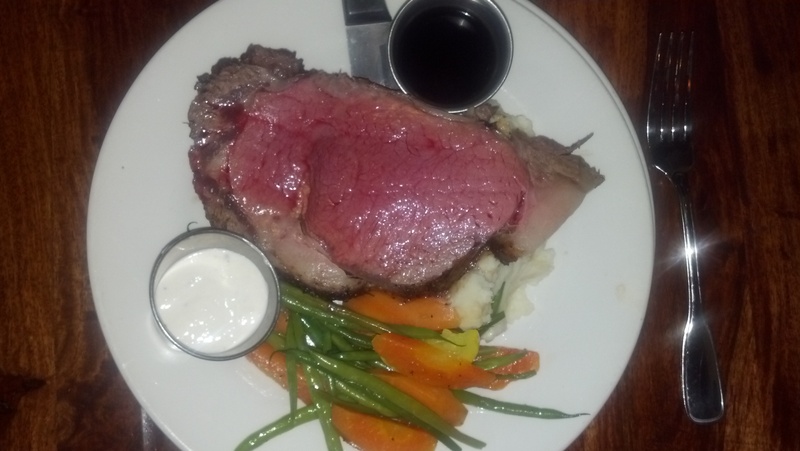 It was served medium-rare, with au jus, mashed potatoes and mixed vegetables. While it was quite tasty, I have to admit that I didn’t even finish a third of it! Medium-rare prime rib. Yummy, but kind of a manly portion! I also admit that I was a bit surprised that Kyra chose the prime rib. With so many other options on the menu, this was a bit of “safe” choice, in my opinion. Again, it was good, but I’d hope for a more interesting choice next time I dine here (and I likely will again!). I thank Kyra for her lack of hesitation, and willingness to offer up a dish. It’s always refreshing to have servers who are confident in their choices! Also, thanks again to my supportive coworkers! I’m hoping one or more may be inspired to turn their dinner over to the server one day. Cheers to small adventures, and, in this case, big portions! I should have Fed Ex’d the rest of that dinner to you!